Why the kid who wished to print money and give it to his friends was wrong? Few years ago on a Saturday evening, I was shopping in the dairy section of this big retail store. While deciding which company’s milk to buy I noticed a kid nudging his mother to the foreign chocolates section and to his surprise his Mother was reluctant to budge as she was busy in choosing the size of the butter packet she needed to pick up. “I will buy you a lollipop from the billing counter when we bill our stuff, son”, his mother replied. “But, I want that packet of chocolates. Those look very colorful. None of my friends probably have eaten such chocolates and I believe they will also enjoy them.”, the kid said with innocence. “Son, I have to still buy a few things and we are running out of money, so I can’t buy you those chocolates as they are very expensive.”, the mother replied calmly to the kid’s groaning. Clearly, in the era of credit cards this was a pretense which the mother came up with. “I wish you had bought me a money printing machine instead of the GI JOE you bought me on my birthday. If I had a money printing machine I would have printed more and more money to buy things I always needed like this packet of chocolates”. The kid said, “I am going to distribute money among my friends so that they can also buy stuff they like”. The mother was pleased at the innocence of the child because he was good enough to think about friends. I couldn’t help but overhear the entire conversation. Soon both of them left but the kid gave me an important question to find an answer for. As we have all heard that we have printing presses in the country so we have enough power to produce more money to make everyone rich but why don’t we do that. And of course, there are numerous theories one of which is that every country needs to deposit gold in World Bank, depending on which it can have money in the country in that much amount which is true in case of few currencies. So, why we simply can’t print more money? We simply can’t print a lot of money because it is going to increase the supply of money more than it is demanded for. The global economy as well as the economies of the countries depend on two factors supply and demand. These two factors must always be in equilibrium with each other for the things to run smoothly. If one of the things outperforms another then prices fluctuate and things start falling apart. Suppose that the kid achieved his dream of printing money through a money printing machine. Now if earlier he used to have Rs 10 a day for consumption with this glorious money printing machine he now has Rs 100 a day for consumption. With his compassionate attitude he printed more money and distributed it among his 9 other friends. Now all of his 9 friends have Rs 100 each for consumption on a single day. This chain didn’t stop here as the friends of the kid have friends of themselves and so they keep distributing the money to their friends as well. The kid kept printing money and eventually, one day came when around 10,000 kids had 100 Rs per day to spend. Now, let’s assume the chocolate company coincidentally had all these 10,000 kids as its only clients. Earlier, before the glorious money printing machine, a kid could buy a packet for 10 Rs on one single day but as human desires are unlimited therefore, with more money in the pocket every kid is tempted to buy 9 more packets as he has Rs 100 now to spend. Does the chocolate company think the same way? The chocolate company is experiencing a sudden rise in demand of their chocolate packets and to feed the demand they will have to increase the supply. This means that they have to buy more coco, more machines and equipment and to process coco, and enough man power to produce more chocolates and satisfy the demand of its 10,000 clients who have 100 Rs each to buy chocolates. To bring in additional machinery and equipment, manpower and raw material the company will have to put more money in the business which means that its operational cost will increase. Earlier, a packet of chocolate used to cost the company 5 Rs which would give the company 5 Rs operational profit, but now, with a sudden increase in demand and with its increasing operational costs, the company will be compelled to raise the prices. So, let’s assume that now the company’s cost per packet increases to Rs 98 and in order to maintain its profit of 5 Rs, it has set the market price of 1 chocolate packet as Rs 103. So, the next day when the kid will go to the market in the hope of buying 10 packets of chocolates, he will be surprised to find the fact that he can’t afford even a single packet of chocolates now. When the kid is not able to afford even 1 packet of chocolates, this means that the purchasing power of the money he has is reduced and this phenomenon when the purchasing power of the money reduces is termed as ‘Inflation’. Now, imagine this phenomenon spreading to all the chocolate companies in the country. How will it impact those kids who still have Rs 10 per day to spend? The incident described above is an example of hyperinflation when the prices rise by more than 50% in a small period of time probably in a time span of less than 2 months. Usually, this type of inflation was witnessed around 80-85 years ago in a few countries like Germany where a whopping soreness in prices of general commodities, after the great depression, was encountered. The countries’ central banks like US Fed in the United States and RBI in India play a key role in controlling inflation. Remember, that is why you read in the newspaper about RBI changing the interest rates or keeping them unchanged (well this will be covered in some other article in the future). Usually, hyperinflation occurs due to big unpleasant events like the great depression, the recession period of 2008, due to mutiny or political unrest in the country. It should be now clear for you to understand that the countries with high inflation have a very limited supply in answer to a high demand. This limited supply is generally due to the corruption in the government or the whims of a few power hungry people who find pleasure in loading their bank account by controlling demand and supply. Do we really need Inflation? Almost everyone’s Grandma has told him/her at some point of time in life that too much money in too little time is bad for you and people around you. Well, if we associate Grandma’s teaching with inflation then she was absolutely right. And if you are thinking that there shouldn’t be any inflation in the country then you are not completely correct. The opposite of inflation is deflation which means that the purchasing power of money increases. In relation to the above example it means that now the packet of chocolate which costs Rs 10 now will cost Rs 5 when deflation kicks in. This is really detrimental to the economy’s health as it can have a downward spiraling effect. It leads to the mindset that “the prices are going down daily hence I will wait till the things I want to buy become cheaper”. This sentiment leads to decreasing demand and the supply looks huge in contrast. The deflation hurts companies and businesses because of the decreasing demand and so, in turn hurts economy. Inflation in a contained amount is very necessary for a country. Why? Because it means that the country’s economy is progressing. So make sure that the money in your bank account is beating the inflation rate every year in order for you to progress with the economy of the country. So, is there anything more you know that you want to add to this article? Did you already know how printing more money that can’t keep up with the existing demand can hurt the economy? The Sovereign Debt Crisis of Europe : Why everyone attributes the slowness in their economy to Europe? Sovereign debt crisis is something that everyone has heard of but very few people know it from within. The term itself is so heavy that most of us think of leaving it to the professionals while the general take away is that there is some financial crisis going on in Europe because of which the risk of decreased economic growth is looming over our businesses and jobs. When you get involved in a discussion in college or at work during lunch hours, the topic of Europe’s economic crisis must have surfaced several times by now, but, have you been able to contribute to the discussion more than by just saying that the economic growth of European nations is not good which has affected our businesses too? If yes then good. Well, certainly after reading this complete article you will be able to contribute much more to the discussions of worldly matters and not only that you will emerge as an inquisitive and knowledgeable person too. This article will not directly take you to the topic ‘What Sovereign Debt Crisis is? ’ but it will first make you familiar with a few terms after which comprehending Sovereign Debt crisis will become a piece of cake. What is a Sovereign Bond? A country needs money to run its operations, for its government backed banks, for providing basic infrastructure to its citizens, for its army, navy, air force, for building hospitals, providing health care, running employment programs and many more. A country’s central government’s source of revenue is the money received from the tax payers which are the earning citizens of the country. Due to different expenditures, many times government falls short of money in its treasury because of which it becomes mandatory for the government to borrow money from people who are in the state of lending it. The country therefore issues sovereign bonds based on which it borrows money from foreign investors and countries. The bonds are generally issued in the denomination of foreign currency, however, the country can also issue bonds in its own currency but this totally depends on how stable the currency of the country is. If the country is stable and is not going to through a social upset or a coup d'etat (pardon me if I am exaggerating here) then it doesn’t face any problem in issuing bonds in its own currency. The treasury bills which are generally issued in countries like India and The United States are short term examples of such bonds. As stated above, when the country issues sovereign bond it borrows money from other countries as well as investors, it therefore incurs debt. Suppose you are an investor with tons of dollars in your bank account and you are finding sources to invest your money. It comes to your notice that country ‘X’ is issuing sovereign bonds in the denomination of dollars because it needs money to support development in the country. When you provide money to country ‘X’ you now hold the sovereign bond issued by the country and ‘X’ owes you the amount of dollars you invested which it will have to return you with timely interest after a specified time period. Now, as an investor you cannot right away lend money to ‘X’. There are ‘n’ number of factors which you will take into consideration before lending money such as the currency stability of the country, social status inside the country and above all, the sovereign debt rankings. The budget deficit occurs when a government’s expenditures outrun its revenues. The budget deficit may occur due to several reasons like when the government spends a lot on its infrastructure, its development plans, its army, navy, air force and its public but it doesn’t receive enough money in the form of tax from its earning citizens due to various tax evasion strategies. The budget deficit clearly indicates how healthy a country is. If the budget is balanced i.e. expenditure = revenue, it increases the confidence of the investors to invest money in the country. It generally indicates to the entire world that the business growth is faster as the economic growth runs fine. The budget deficit hurts the sovereign debt of a country. Why? It is obvious that if a government spends amount X on its people and due to corrupt bureaucrats as well as politicians and some of the corrupt citizens it receives only 2% of its expenditure in the form of taxes then how will it be able to pay the debt? This is a major factor in slowing down the economic growth because of which the government raises taxes and reduces public expenditure which impacts employment rate too. Sometimes these measure which a government adapt to are also known as Austerity Measures. When did the Sovereign Debt Crisis start? The Sovereign debt crisis is said to have started in the year 2008 when the banking system of Iceland collapsed. The banking system collapses when the borrowers of the money from the bank are unable to repay their debt and no way is the bank able to recover the money from them. When there are too many defaulters like such, the bank itself goes bankrupt and has no money to run its operations. 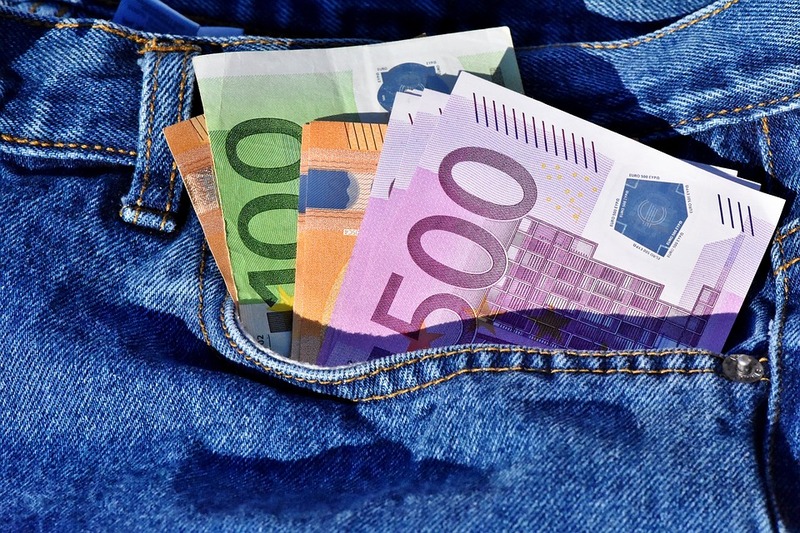 The peripheral countries of the Eurozone like Italy, Spain, Portugal, Greece, Cyprus were also unable to pay their sovereign or national debt due to the slow economic growth. A strong reason of the sovereign debt crisis is believed to be the recession of the year 2008 which was caused when the asset bubble burst in the United States and in a few countries of Europe. Greece was worst affected by the sovereign debt crisis. When an investor or an investment country seeks to invest in another country they check its sovereign debt rankings which indicate if the country would be able to repay its debt or not. The then existing government of Greece revealed that the previous government reported wrong numbers of budget deficit. To save its reputation, it reported that the budget deficit was too low but in reality it was huge which proved to be a major cause of the slow economic growth. Since, Greece was nowhere near to pay its debt hence its debt rankings plummeted at the lowest possible level which meant there was no more money coming in from the investors. As a result, a bail out was organized by the European Eastern bank and International Monetary Fund in exchange of implementing austerity measures. The austerity measures when implemented asks a country to keep the public expenditure as low as possible and increase the taxes which itself reduces the economic growth as when the public expenditure is low how will the citizens be empowered to spend more apart from their needs to make the businesses profitable. If the businesses are not profitable, the industrial output will drop which results in businesses not borrowing enough from banks and when the supply of the money is more than the demand the purchasing power of the money reduces which in turn affects currency ratings. Apart from Greece, the debt rankings of Spain, Italy, Cyprus, Portugal also fell down and it was believed that Euro was on the verge of collapsing as these countries along with 14 others share Euro as their currency. Bilateral trades are important for any country to grow such that it can make money from its natural resources, minerals as well as the local labour and talent. A lot of countries, Asian countries as China and India and many more were and still are in trade with the European countries particularly the European Union countries (28). Due to the lack of economic growth, the consumption demand reduced in the affected countries. When the demand was reduced it affected the countries which were responsible for supplying to the demand. The businesses were hit in other countries too and imagine those companies whose only clients were the businesses in the affected countries such as Spain, Portugal, Cyprus, and Italy. It was recorded in the year 2012, as a result of this crisis, the annual growth rate of the entire world economy reduced by 0.65% and the global unemployment rate increased by 1.81%. The Indian IT firms most of whose business came from the United States and Europe were affected deeply by both ‘The 2008 recession’ as well as ‘The Eurozone debt crisis’. China was another nation affected by the Eurozone Crisis as we all know, that it has an upper hand in the entire world when it comes to machinery, electronics as well as raw material processing. All its exports were affected which contributing to the decrease in its economic growth. The exports of The United States which is believed to have multiple trade ties with the Britain and other nations of Europe were also affected even when it was recovering from the collapse of its asset bubble. The Eurozone crisis really hurt the world economy deeply and the world is still recovering from it. 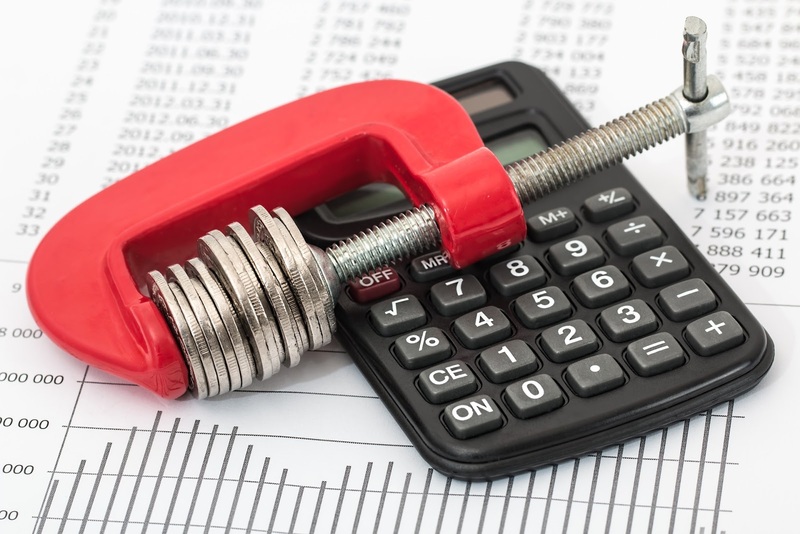 With huge budget deficits on the books, it is a challenge for the governments to increase the consumption demand by keeping the public expenditure low to improve the economic growth. Without improved economic growth, the debt issue is very difficult to be solved. However, my job thorough this article is not to suggest what governments should do but inform you guys about this topic of Sovereign debt crisis. So, did you enjoy reading this article? Do you know anything more about this topic ? If so, I will be happy to include it in this article. Calling all citizens: Is your confidence at the Traffic signal proving fatal ? 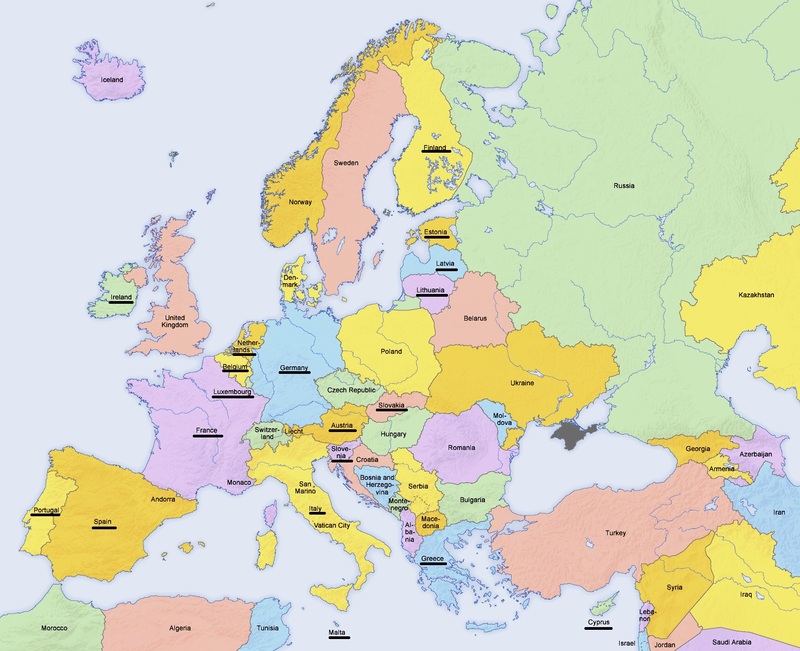 The European Union can be described as a single body which has 28 countries within its purview. It was created post World War II to increase economic and political friendliness among European countries by introducing the concept of free trade and free movement of people across borders of its member countries. So, if one towel is made by a brand in one country it can be sold in any of the member countries without custom duty, tariffs and taxes. Suppose, if a towel is made by a reputed brand in India and it were to sell in Sri Lanka then its cost will increase due to numerous tariffs and custom duties, lowering the margin of the company and so, lowering the profit. The towel will not be able to compete in the local market due to high costs and the brand won't be able to obtain the profit it would have in India. On the contrary, if a towel is made in any of the countries of EU then it can be sold in any other country at the same cost, thus the margin in the home country and any of the other 27 countries remain the same and thus the profit. The borders of the countries are also not sealed for each other which means that a citizen of France going to Germany will not be subjected to the checks and formalities, which he would go through while visiting The United States. The euro is the official currency of European Union. 19 of the 28 member states have adopted euro as their official currency and it is the most traded currency in the foreign exchange market second to the US Dollar. 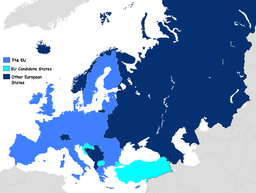 Below are the member states of EU with underlined states having their official currency as Euro. As you already know, Brexit is the combination of 'Britain + exit', referring its exit from the European Union. Britain is still a part of European Union and is going to officially leave EU on 29th March 2019 almost 2 years after the current PM of Britain Theresa May gave nod to the exit process. Now, a question would pop up in your mind why after 2 years? The answer is because of 'the Article 50' which came into effect in 2009 especially for the member countries. Let me make it clear that before 2009 there was clear provision for any of the member countries to leave EU. So, under Article 50 the minimum period of separation is 2 years which can be extended too depending on the negotiations involved. Britishers who voted for Brexit feel that their jobs are taken by the immigrants. The immigration is quite easy due to free movement of people, goods, services etc across the EU countries . This means that any person residing in Austria can come to Britain and work there if he is willing to live a more prosperous life basing his decision on the strong currency power of the GBP. The EU created a single market. In a single market the services, goods, products and people can move freely between the two countries. The idea behind single market was to keep the prices as low as possible, create jobs and facilitate trade among the countries. When there is a free movement of people, generally talented people from poorer countries than Britain emigrate there and take up the jobs of average Britons which creates antipathy towards the immigrants. The Britons also blame the foreign students who occupy the seats - which they think belong to them - in reputed educational institutions of Britain. 3 universities in top 10 universities of the World are in Britain; the facts and figures also indicate that most of the noble laureates have studied in British Universities. Also, the quality of the education provided in Britain is exceptional. These are reasons enough to attract students from around the world to study in Britain. Surveys have indicated that it is this antipathy towards immigrants that is majorly responsible for the majority voting in favor of the Brexit. A referendum poll was held on 23rd June 2016 in which about 72% of the population came out to vote in favor or against Brexit. The then prime minister of Britain David Cameron was against Brexit as he held the view that it would negatively affect Britain’s economy and would make its GDP plummet. However, the view of David Cameron and other economists couldn’t stop the majority from going in favor of Brexit. About 52% voted to leave the EU and around 48% were against it. On losing the poll, David Cameron resigned from the seat of the Prime minister and Theresa May took over as the new Prime Minister of Britain. Initially, she was also not supportive of Brexit but eventually she agreed with the majority. History indicates that Britain has always preferred a separate national and social identity. It joined the EU in 1973 much later than 1957 when the EU was actually formed. Britain never accepted euro as its currency. Britons perceive Britain as a separate continent altogether separated by the English Channel from the rest of the Europe. Britons while narrating their vacation plan do not explicitly mention travelling to France and Switzerland rather they mention going to Europe. Even local travel companies on their street hoardings use texts such as ‘4 days 3 nights in Europe’. These reasons reflect that apart from xenophobic sentiment there is a political desire to materialize the notion of being a separate identity. 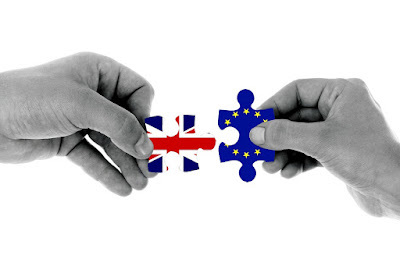 Economists and political officials who were against Brexit speculated that Britain would fall in an immediate economic crisis as Europe is Britain’s important export market and a phenomenal source of FDI. Exiting the single market would mean impacting the trade with other countries, surging of the prices as well as losing FDI too. The immigrants also form a large chunk of the labour force. With the free movement of people stopped, the labor force will be impacted in medium to long term. But, on the contrary, the speculation of immediate economic crisis proved to be incorrect. The GDP growth in 2016 came out to be stronger post Brexit referendum with Q3 and Q4 showing an increase in GDP compared to previous quarters. Only the pound fell sharply against the dollar with rising inflation halting the consumer spending. The number of employed personnel kept increasing with employment rate currently standing at 75.1% in 2017. The unemployment rate witnessed a continued decrease from 8% in 2013 to 4.3% in 2017. Many forecasters and Economists believe that the economic circumstances will change in 2017 and 18 with Brexit impairing the growth in medium to long term. There were 3 issues which needed to be sorted in phase 1 of the talks. Two of them, financial settlements and citizens’ rights have already been sorted but the third one which is still under arguments and discussions is the Northern Ireland border dispute. it has been a part of UK. A lot of trade happens between the two countries and the border is open for the people to travel freely between them. Daily thousands of citizens of both the countries cross borders for trade and travel purposes. However, with Brexit in picture, UK will exit the single market which will stop the free movement of people between the two countries which will mean a lot of check posts to be installed and the entire border to be sealed. This will negatively impact the export market of the Northern Ireland, 25% of which is dependent on the Republic of Ireland. This will result in a hike in prices by imposing of new tariffs for sure reducing the trade. Also, the government of the republic of Ireland fears that the installation of a hard border will not be taken well by the local traders and will result into protests. 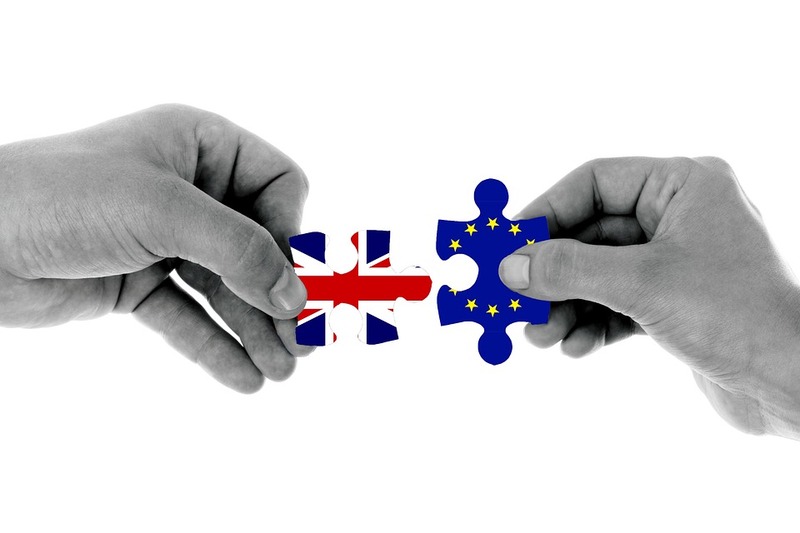 An alternative approach was proposed which marked Britain to exit the EU but not exit the single market and the customs union but this proposal was rejected by the British government in order to honor its commitments of a complete Brexit. Unless and until, the Northern Ireland border issue is resolved Brexit will not move into phase II which will make things more difficult considering in picture the deadline of 29th March 2019. Opinion Polls held in Dec’2017 revealed that the opinions of the majority of Britons and the UK government have started parting ways. The negotiated amount of 50 billion pounds that UK will have to pay to the EU on leaving has created an opposite sentiment among the masses of UK. According to the latest Survation survey, around 50% of Britons now think that a second referendum should be held after the government’s final negotiations with the EU, 34% are still in favor of Brexit and 16% had no answer to this question, however, the government is still fixed on its stance of a hard Brexit. No one can exactly predict what the condition of the Britain’s economy will be after Brexit. Will it have to start over? Or will it get better with controlled migration, more jobs and education opportunities for the locals? Well, our agenda in this article is not to express any opinions. But, no one has stopped you from expressing yourself in the comments section. So, did you understand all about Brexit? Was it properly explained in the article? What are the chances that you would be referring this article to friends and family? A rectangular field, 11 players, two goals on the opposite sides and a referee running equally with the players from one side to the other watching the rules all the time, showing cards when the players stamp on the feet of each other; all these are more than enough to indicate which sport I am talking about. 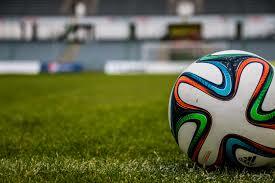 ‘Association football’ better known as Soccer or simply Football. The most popular sport of the world which dates back to 19 Dec 1863 is played in more than 200 countries and is one of the most financially rich sport of the world. I am not going to go in the rules of the game or bore you by telling you the history of the game, however, before writing this post I was more into knowing what some of the great players of this very sport felt before they were superstars, how they got inspired by the sport, what motivated them to take up this game, beat the odds and reach the place they are now at. Well, the stories can be dug from disparate sources one of which is YouTube or sports channels but the only source which can make you totally dive in the worlds of these players is Books. Yes, the books written on these great players! Best player on the planet, 5 times Ballon D’ore are enough for anyone to realize that we are talking about Lionel Messi. Lionel Messi, also known as the little man, plays from FC Barcelona and from the Argentina National Team. Thanks to his calm mind, he has provided us the pleasure of watching some amazing goals. But Lionel Messi beat quite a number of odds to reach where he is today. At the age of 11, he was diagnosed with a rare growth hormone deficiency, the treatment of which his family couldn’t afford, so, at the age of 13 he relocated to Spain and joined FC Barcelona because the club agreed to pay for his treatment. Lionel Messi in an interview even revealed that as a part of his treatment, for nights, he slept with a needle stuck in his leg. Today, Lionel Messi is a sportsman every aspiring soccer player, coaches, soccer fans and even peer footballers look up to. Diego Armando Maradona led an average Argentina football team to victory in the 1986 Mexico World Cup. ‘The Goal of the Century’ and the ‘Hand of God’ are the two terms which are associated with Maradona who is considered as the greatest footballer of all times. He holds the joint award for the FIFA player of the century with Pele. 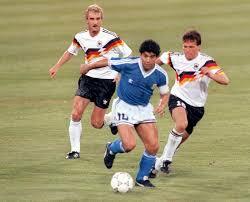 Maradona on a single run dribbled past 5 England players beating them one by one and scoring the second goal. After exactly 2 decades, the goal was recreated by Lionel Messi at the age of 19. Edson Arantes do Nascimento widely known as Pele is the greatest player of the century. Pele has scored 1281 goals in 1363 games (official, friendly and unofficial games) and has won 3 world cups for his team Brazil in 1958, 1962 and 1970, the most by any player on the planet. 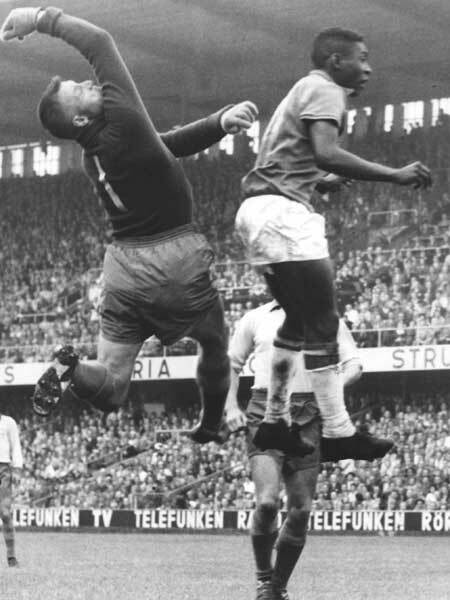 At a point of time, Pele was an epitome of Soccer and for a brief period was the best paid athlete of the world. He played as a forward and was most known for anticipating the moves of the opposition players and taking shots with same power from both his legs. Pele along with Diego Maradona holds FIFA player of the century. The best outfield player we ever had in association football, this handsome footballer was one of the highest paid player in the world. David Beckham has been famous for demonstrating multiple football skills which a young footballer crave to have such as accurate range of passing, effective cross kicks and the most famous bending free-kicks. David Beckham’s career lasted for 20 years and is considered as the most loved player of all time. He has been a runner up at Ballon D’ore and FIFA player of the year. A young lad with a football on his side always dreams of playing for Manchester United and David Beckham started his career with this club in 1992. He, throughout his career, played for Real Madrid, Paris Saint-Germain, Preston North End and Milan. Also, he has captained the England National Team for 6 years which include the world cups of 1998, 2002 and 2006. With his charming image, he is labeled as a British Cultural Icon. Cristiano Ronaldo has won Ballon D’Ore 4 times just 1 short of Lionel Messi. Cristiano Ronaldo joined Manchester United at the age of 18 and helped the club won several titles like FA cup, UEFA Champions League and Premier Cup. Ronaldo was bought by the Spanish Club Real Madrid in 2008 for a whopping $132 million which is considered as the most expensive transfer in the history of the association football. Ronaldo has scored 32 La Liga Hat-tricks and is the highest goal scorer of ‘Real Madrid’. He is compared with Lionel Messi who is also termed as his rival when it comes to awards like FIFA player of the year and Ballon D’ore. His popularity can be estimated by the fact that the airport of Madeira, which is the hometown of Cristiano Ronaldo, was renamed as the Cristiano Ronaldo International Airport in 2016 in the honor of this great footballer. Neymar Jr started playing at the age of 17 for the same club for which Pele played, Santos (Brazil). 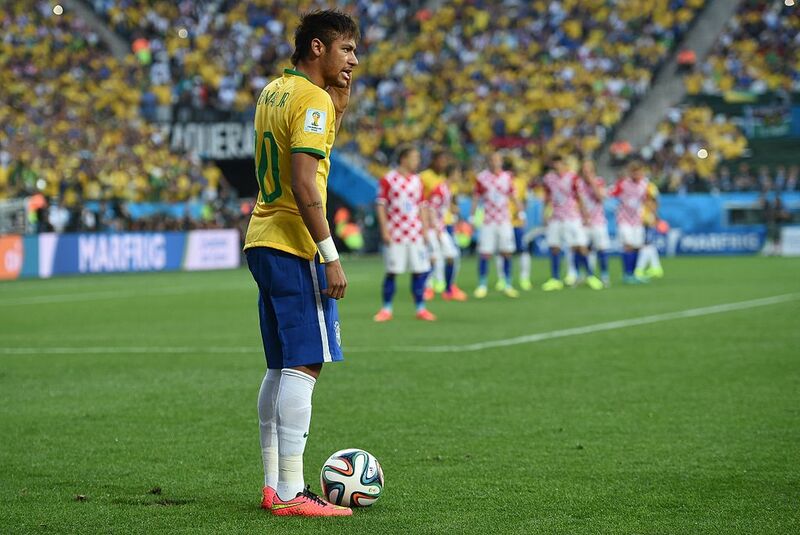 He has often drawn comparison with Pele for himself and is one of the phenomenal footballer of the current times. Neymar Jr plays as a forward and forms the deadly trio with Lionel Messi and Luis Suarez in FC Barcelona. His performance has been widely recognized both in Brazil National Team and Barcelona although his performance in the 2014 World Cup was affected by injuries and a suspension. 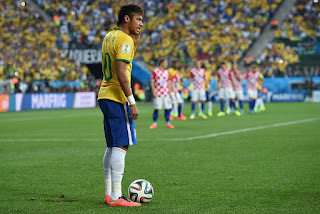 Neymar is known for some amazing dribbling skills and is a great finisher. Watching him and Lionel Messi creating and scoring a goal is totally a pleasure to the eyes of any sports lover. Neymar Jr was inspired greatly by Lionel Messi when he was a kid and still considers him as the greatest player of the world. Ryan Giggs is a former footballer who played for Welsh football team and the famous football club Manchester United as a midfielder. He earned several accolades for his performance as an effective midfielder and has worn the captain cap of Manchester United numerous times. Ryan Giggs played for Manchester United for his entire career which lasted for 23 years and was made its interim team manager in 2014. 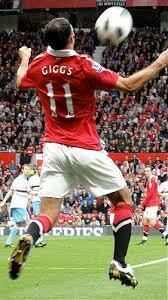 Ryan Giggs has won many titles throughout his career and has played in the first 21 sessions of the Premier league. 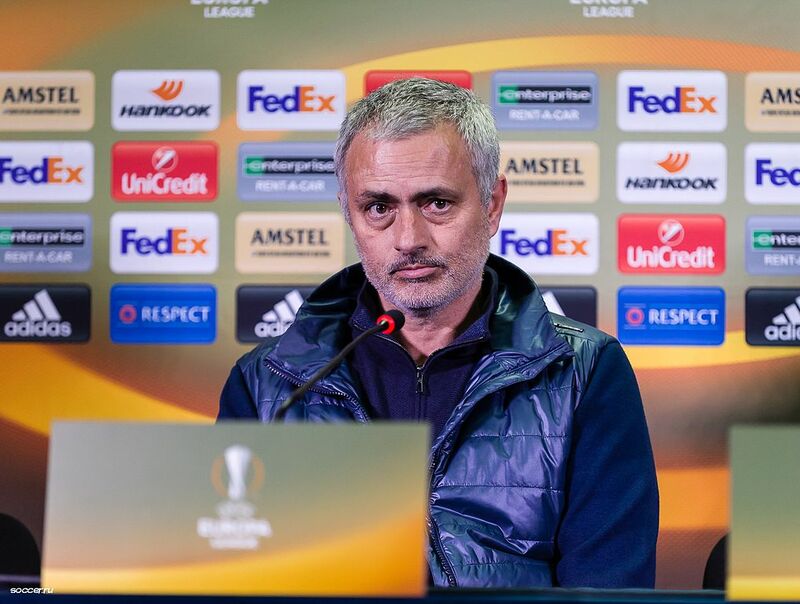 The greatest coach in the history of association football, Jose Mourinho is the current coach of the club Manchester United. He is known for his effective and strong managerial skills and has led football clubs of 4 different European countries to league titles. Mourinho has been responsible for taking the football club Chelsea to its premier league title after 50 years with record 95 points in 2005. Mourinho has also been responsible for taking Real Madrid to victory in 2011 before joining Chelsea back. Mourinho earned FIFA coach of the year 2010 award and has been viewed by many commentators as the best manager of all time. 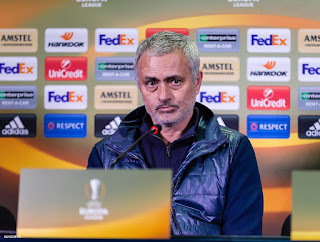 Mourinho has also been a controversial figure throught his career, he has faced several match bans and got involved in several squabbles with the coaches of opposition teams. Guess who is the greatest defender Pele played against, it is Bobby Moore. 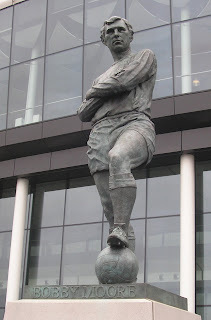 Bobby Moore is widely regarded as the greatest defender the world has ever seen and is also the member of the 20th Century World Team of football. He was the captain of the England National Team and led his team to victory in the 1966 World Cup. Bobby Moore was also the captain of the club West Ham United and captained the team for 10 years. Moore is recognized as a gentleman by his fellow footballers and teammates. He died of cancer at the age of 51 in the year 1993. Two times FIFA World player of the year and 1 time Ballon D’Ore, Ronaldinho is often said by many as the greatest player of his generation and is often found in the team of top 11 footballers created by commentators, managers, critics and former footballers. A midfielder who was often placed as a forward in team formations, he is known for his dribbling ability, technical skills and effective tricks to deceive the opposition defenders and take the ball towards the goal. 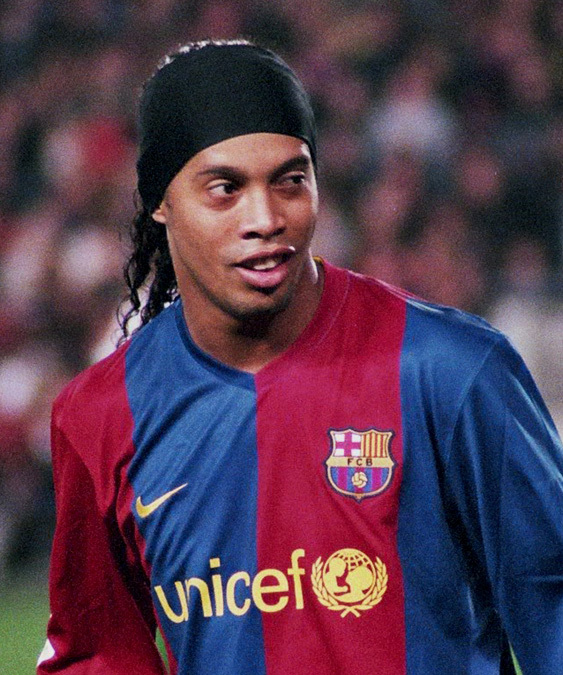 Ronaldinho started his career from Paris Saint Germain and joined FC Barcelona in 2003 where he helped Barcelona win successive La Liga titles and UEFA champions league. Ronaldinho was also instrumental along with Luis Ronaldo and Rivaldo in the victory of Brazil in the 2002 football world cup. Be it Manchester United vs Chelsea or FC Barcelona vs Real Madrid, watching football doesn’t give you a hangover less than any fine booze. It’s an addiction but a cool one which teaches to you to beat the odds and be better than your rivals. Through football, you can learn to be on top of your game. I know that after reading about these footballers you would want to check out their videos out on YouTube and you must do so. While surfing about these legends if you encounter a footballer who doesn’t appear in this list then do mention about him in the comments and let us know about his achievements. So books about which of these legends are you planning to read first? Have you made up your mind? Here, you can buy second hand books from people around you at low prices. The concept behind bx-zone is people selling/buying used books to/from people that is why the discounts here vary from 40%-100%. Moreover, it doesn't charge any commission from its users and the registration is also absolutely free.